Dutch songs with music and English translation ! Parrot are you still alive? The children's songs on this website were mainly noted as folk songs from the oral tradition in the 19th century, or were written in the 19th-20th century. 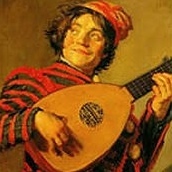 The oldest Dutch song we know for sure was sung by children, was written down in the 15th century (around 1480). The handwritten codex noted: "And the little children of Flanders sung a small song". From the 16th century, only religious children's songs were written down or printed, mainly in religious songbooks. An example is "An evening song for the children in the schools" (1565). From the 17th century we know lullabies, for example: "My dear little doll now is swaddled" (1625) and "Suja suja su, my lovely little sheep" (1655). In the 18th century, the songs for children changed, under the influence of the Enlightenment (children can be raised to be virtuous and civilized citizens, also with the help of narrative stories or song texts). Famous is Hieronymus van Alphen (a widower with 3 young sons), who wrote 3 children's poetry books with 66 poems - 2 years later partly set to music. Still well-known are "Little Jan saw plums hanging / oh, they were as big as eggs"; "Recently we were sitting with Saartje / our good old nurse"; and "Our playing is learning / our learning is playing". In the 19th century, more religious and moral children's song books were published. New were the (sundayschool) school songbooks (because of changes in primary education). 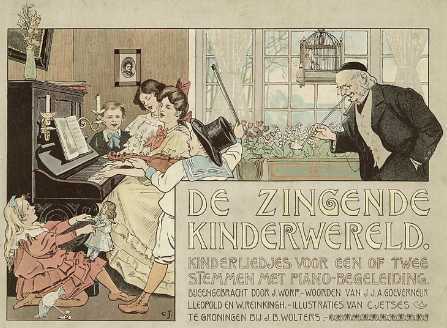 In the middle of this century, Jan Pieter Heije published 3 children's songbooks with 150 children's songs and hundreds of songs in the style of folk songs. 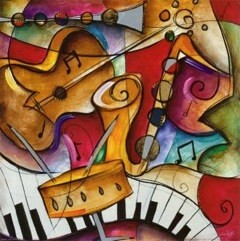 He worked together with contemporary composers and his songs became very popular (some are still known and sung today). Examples of children's songs: "Seven little frogs were sitting / in a farmer's ditch"; and "See, the moon is shining through the trees / comrades, put on hold your wild rampage". Examples of folk songs: "Did you hear about the treasure fleet / the silver fleet from Spain? "; "In this green valley, peaceful, quiet, / so full with little flowers"; and "Small tiny bird on your green branch / how cheerful is your song". In the second half of the 19th century, another songwriter was renewing: Jan Goeverneur. He was known for his simple language use, casual tone, sound-imitations, humor and the absence of well-behaving. He wrote among others: "In a green, green, green, green tuber-tuber land"; "A cold little redbreast did tap, tin tin tin / please let me in"; and "When our pug was a little pug / it was plaesant how he looked". In that second half, under influence of the Romanticism, researchers started to write down songs sung by the common people. This included children's songs from the oral tradition. 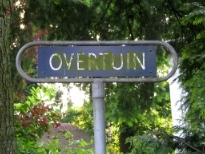 J. van Vloten for example collected more than 800 songs from the nurseries (children's rooms). Among these: "Amsterdam, that big city / has been built on piles"; "Today I saw a stand of dolls"; "Our earl from The Hague"; "Clap your hands together"; and "Sleep, little child, sleep". These songs, or predecessors of these songs, can be older than the 19th century. In the 20th century the song books "Can you still sing, then sing along" and -identical title- "For young children" were published. They became very popular and were printed throughout the whole century. In these books the teachers J. Veldkamp and K. de Boer collected late 19th and early 20th century songs, by contemporary song writers and composers. Well-known songs, among many others, are "Daantje had to go to school"; "Three little toddlers were sitting on a fence"; "Hannes walks on clogs"; and "Two girls sheltered from the rain / under mum's umbrella". Later in the 20th century, a radio program for children became very popular, 'Toddler, listen' (1946-1975). Song writer Herman Broekhuizen wrote many children's songs for this program, and many became so popular, that people often think they are old, traditional songs. For example: "Elsje Fiederelsje, put you clogs by the fire"; "Under trees so big and giant / in the forest of the gnomes"; "A train went on a journey"; "Helicopter, helicopter / can you bring me in the sky"; and "Do you see the chestnuts in the trees". Most of the mentioned songs can be found on this website. 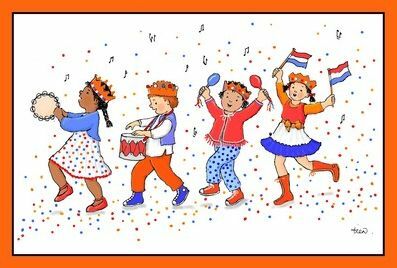 Have fun with these old, traditional and well-known Dutch children's songs! illustration by Denise Holly Hobbie-Ulinskas. Didn't you find the song you were looking for?